Earlier, Pakistan's military claimed that an Indian spy drone had been shot down along the Line of Control which separates the Indian and Pakistani sections of the disputed Kashmir regions. The incident took place at around 6:30 a.m. local time on Friday. Indian troops successfully repelled the drone, which returned to Pakistani airspace, an official told Sputnik. 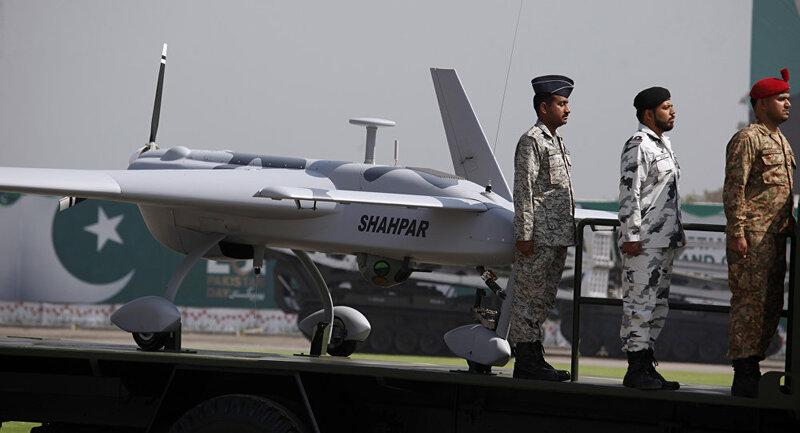 The Indian Army and Indian Air Force and the paramilitaries have remained at high alert after Indian intelligence warned about a possible deployment of armed drones along the Indian border earlier this week. The report said that armed surveillance drones have been deployed to dozens of locations including Uri, Poonch, Rajouri and Sunderbani. On 27 February, the Indian Army shot down a Pakistani drone along the India-Pakistan border in Kutch in the state of Gujarat, which shares a border with Pakistan.